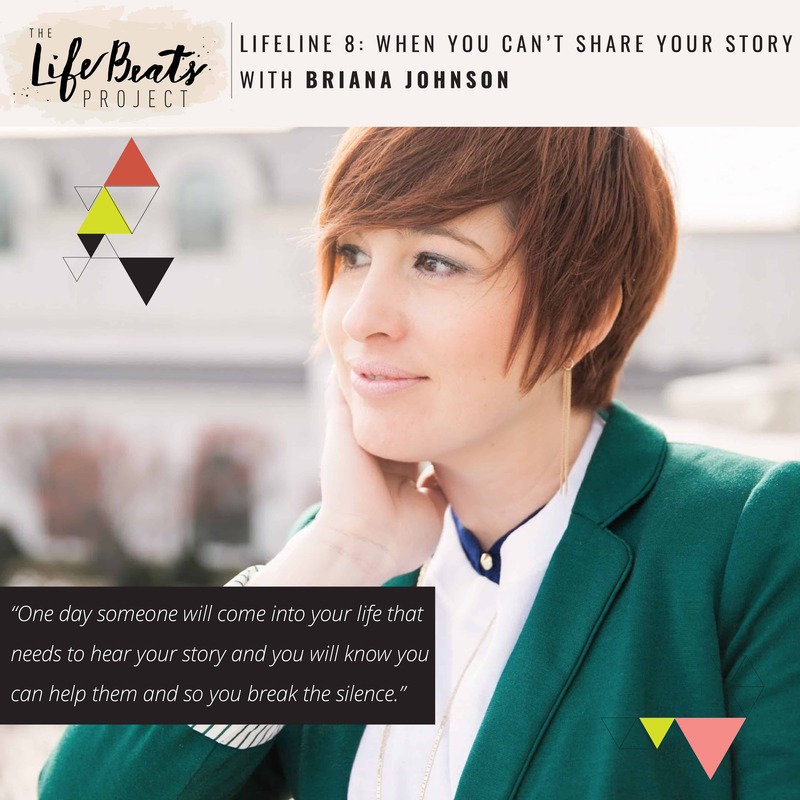 In today’s latest installment of the LifeLine podcast series in which I help you to discover your own story and see the good that already exists inside of you, I address a different group of you than I have ever addressed before, those of you who cannot share your story, in particular those who cannot share their story because they are in the depths of it right now – and sharing it right now may alter a preferred outcome – or it may involve others who would be affected by sharing – or it may not be safe to share – or it may be so heavy on your heart that you don’t even know how to start talking about it or may not have someone trusted to talk about it with. I share that although I am very open with my life there are things that I don’t share and recent events have created a deep sense of empathy to those who may fall into this group. I want you know that you are not alone and that I am white-knuckling onto gratitude and hope right alongside you. I share that although I know that you may not be able to share your story right now, one day you will be ready to share or perhaps you won’t feel ready but someone will come into your life that needs to hear it and you know you can help them and so you break the silence. 100% do I believe that your story is worth sharing – that what you are going through right now, those things you are currently silent about, those hard lessons you are experiencing, how you are stumbling, how you are rising, how you are putting one foot in front of the other, those things are things that inspiring stories are made of-your story is inspiring wherever you are on this journey. And when the time comes for you to share, whether or not you feel your story is ready to share, whether or not you feel like you have reached a happy ending enough to share, your story is worthy of inspiring others – your story will lift others, inspire others who need to hear it. So my friends, this episode is for you. With all the sensitivity in my heart to what you are going through, I want to share with you 5 things you can do right now in the midst of whatever it is. I understand everyone’s circumstance are different, but I believe this things to be of universal application and I hope that something I will share with you will be of benefit. Want to know if this episode it for you? This episode is perfect for someone who is unable to share their story because of the varying circumstances that cause them to keep silent. It is perfect for those who may be in the depths of a difficulty too painful to talk about or not safe to share. It is for those who want to find ways to not feel alone and want to find strength, hope, and perspective during a difficult time.